Frances Marie Green White was born to Lizzie Primm and WM S Green on July 29,1930 in Virginia. She graduated from Commonwealth of Virginia State High School on May 28, 1948. After receiving her education, she started her career as a switchboard operator at a children’s hospital. Then shortly after she began her career in manufacturing where she found her passion for sewing. She sewed anything from custom drapes to convertible tops. She genuinely enjoyed her career in sewing and end up retiring from it many decades later . She then started her family and became a loving wife and mother to RB Monroe jr, William A. Monroe, Cora E Monroe-Jordan, Carrie M. Monroe-Ward and Herbeth White. 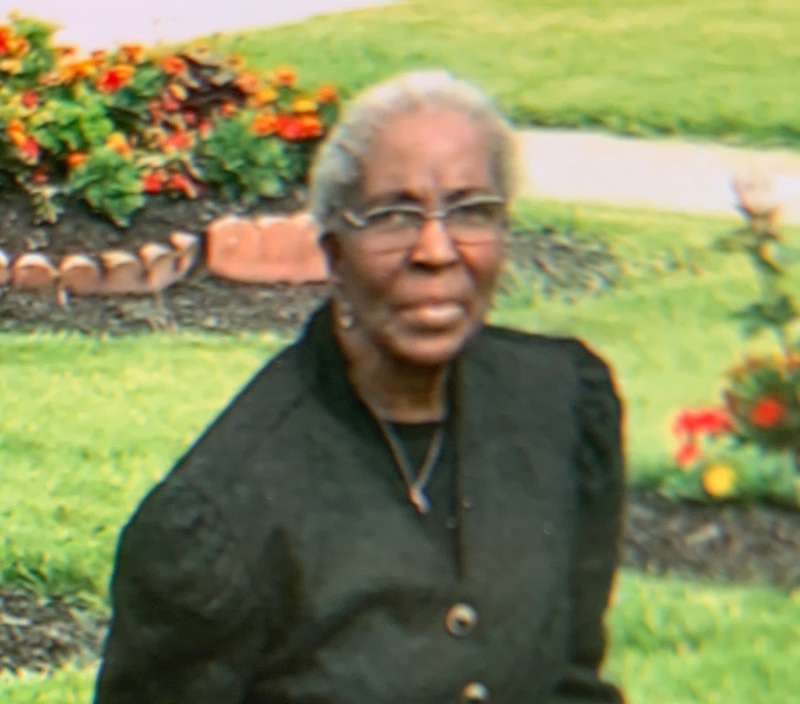 She was highly involved in the church where she received many awards for her leadership of the inspirational mass choir as well as her devotion to serving the senior community. She was a member of Church in Jesus Christ with Pastor Black for many wonderful years. When she move to Georgia she enjoyed being a member of Living Water Ministries with Pastor James Edwards. She enjoyed life to the fullest and knew how to always have a good time. She stayed very active with her hobbies such as sewing, playing the piano, cooking, gardening, traveling and spending time with family and friends. Frances was an loving, encouraging, supportive wife,mother and grandmother plus a hardworking employee all at once. When she became ill her loving children made sure their mother was comfortable under their care until she took her last breath on February 2, 2019. Visitation 10:00am and funeral 11:00am Friday, February 8, 2019 at Church in Jesus Christ, 1135 Cleveland Ave.
We so enjoyed being with Frances at The Jacket Man where she was a hard-working employee and friend to us all. Be at peace, good and faithful servant. There are no words to express the sorrow in our hearts. Please except our deepest sympathy. My heartfelt condolences to the White family and extend families for your recent passing of Frances. All those asleep who in God’s memory,stay from death.He will awaken then We will see All that life can be.Paradise etenally. To the White family. My heart is with you and your family at this time of your loss. There is comfort in knowing God’s promises about the resurrection hope. (Acts 24:15) and (John 5:28,29) In the past God has resurrected humans and He is eager to do it again because He hates death. (Mark 5:41-43) To learn more about God’s promises go to JW.ORG. There are online Bible study lessons featured and more. Love Your Neighbor Irish J. Richardson. To Ms.Frances Family I am so sorry for your loss. In times like this, God’s word is very helpful in helping us to cope with our grief. In the Bible, there is a reassuring hope for the future. At Acts 24:15, it states that “there is going to be a resurrection.” This really can strengthen our hope for the future knowing Jehovah God will awaken our dear loved one. May these future blessings bring you comfort.